Carpooling is more than just ridesharing. Carpooling strikingly reduces commute costs, curtails traffic congestion, and obviously saves on a lot of time. As per a Google Consumer Survey report published by Parents Magazine ( https://www.parents.com/toddlers-preschoolers/everything-kids/parents-say-driving-their-kids-everywhere-is-more-stressful/ ), a massive 44 percent parents spend weekly five hours or more driving their kids to sports activities or hobby classes. Considering the time crunch that people face, time spent on driving is mostly exhausting and stressful. Around 35 percent parents reported that they found driving their kids to be more stressful than filling taxes. Over 40 percent felt their regular work schedule was affected because of driving kids to and from school and extracurricular activities. A majority of parents confessed that that their jobs have been put at risk to cater to their kids’ extracurricular and social calendar. 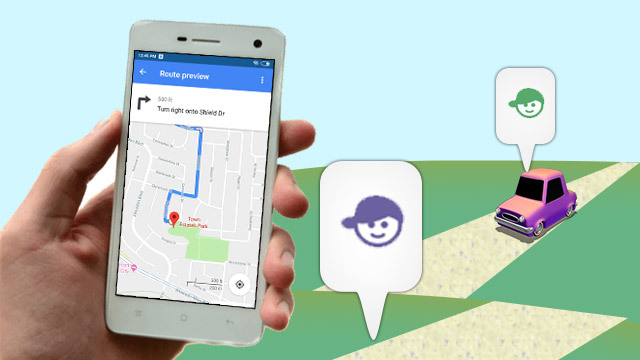 InstaTeam chalks out the optimal route based on kid’s pick-up location. The parent who’s driving gets a planned route and they always know where to go. You do not have to worry about keeping track of when to drive and when your kid is getting picked up. You get automatic reminders that enable you to keep up to your child’s transportation schedule without missing out. You can send messages to the carpool group and keep parents updated about the specific of the trips. If a parent adds a message or there’s any change in the carpool schedule, parents get instant notifications. It’s almost impossible to miss out on a detail. Members can mark their attendance. If any parent is not coming in, it will instantly show it on the group page.